1. Гусейнова Х.Т. Мониторинг внутричерепного давления у больных с внутричерепными кровоизлияниями // Автореф. дисс.. канд. мед. наук. - М., 2010. - 27 с. 2. Крылов В.В., Петриков С.С. Нейрореанимация. Практическое руководство. - М.: ГЭОТАР-Медиа. - 2010. - 176 с. 3. Крылов В.В., Талыпов А.Э., Пурас Ю.В. Внутричерепное давление при повреждениях головного мозга // Журнал «Нейрохирургия». - 2007. - № 4. - С. 12-19. 4. Пурас Ю.В., Талыпов А.Э., Крылов В.В. Декомпрессивная трепанация черепа в раннем периоде тяжелой черепномозговой травмы // Журнал «Нейрохирургия». - 2011. - № 3. - С. 19-26. 5. Пурас Ю.В., Талыпов А.Э., Крылов В.В. Летальность у пострадавших с тяжелой сочетанной черепно-мозговой травмой // Журнал «Нейрохирургия». - 2010. - № 1. - С. 31-39. 6. Пурас Ю.В., Талыпов А.Э., Петриков С.С., Крылов В.В. Факторы вторичного ишемического повреждения головного мозга при черепно-мозговой травме. Часть 1. Внутричерепные и внечерепные факторы вторичного повреждения мозга // Журнал им. Н.В. Склифосовского «Неотложная медицинская помощь». - 2012. - № 1. - С. 56-65. 7. Пурас Ю.В., Талыпов А.Э., Петриков С.С., Крылов В.В. Факторы вторичного ишемического повреждения головного мозга при черепно-мозговой травме. Часть 2. Принципы коррекции факторов вторичного повреждения мозга // Журнал им. Н.В. Склифосовского «Неотложная медицинская помощь». - 2012. - № 2. - С. 59-65. 8. Талыпов А.Э., Пурас Ю.В., Крылов В.В. Методы трепанации в хирургии тяжелой черепно-мозговой травмы / Журнал «Consilium Medicum». Приложение «Хирургия». - 2009. - № 1. - С. 8-12. 10. Aarabi B., Hesdorffer D.C., Ahn E.S., et al. Outcome following decompressive craniectomy for malignant swelling due to severe head injury // J Neurosurg.- 2006. - Vol. 104 (4). - Р. 469-479. 11. Albanese J., Leone M., Alliez JR. et al. Decompressive craniectomy for severe traumatic brain injury: Evaluation of the effects at one year // Crit. Care Med. - 2003. - Vol. 31 (10). - Р. 2535-2538. 12. Andrade A.F., Paiva W.S., Amorim R.L. et al. Continuous ventricular cerebrospinal fluid drainage with intracranial pressure monitoring for management of posttraumatic diffuse brain swelling // Arq Neuropsiquiatr. - 2011. - Vol. 69 (1). - Р. 79-84. 13. Bao Y.H., Liang Y.M., Gao G.Y. et al. Bilateral decompressive craniectomy for patients with malignant diffuse brain swelling after severe traumatic brain injury: a 37-case study // J Neurotrauma. - 2010. - Vol. 27 (2). - Р. 341-347. 14. Bor-Seng-Shu E., Hirsch R., Teixeira M.J., et al. Cerebral hemodynamic changes gauged by transcranial Doppler ultrasonography in patients with posttraumatic brain swelling treated by surgical decompression // J Neurosurg. - 2006. - Vol. 104(1). - Р. 93-100. 15. Boret H., Carre E., Prunet B., D’Aranda E. Cerebral microdialysis and PtiO2 to decide unilateral decompressive craniectomy after brain gunshot // J Emerg Trauma and Shock. - 2012. - Vol. 5. - Issue 1. - Р. 103-105. 16. Bullok R.N., Chesnut R.M., Clifton G.L. Management and prognosis of severe traumatic brain injury // Brain Trauma Foundation (c), Vashington, 2000. - 286 р. 17. Caruselli G., Recchioni M.A., Occhipinti C. et al. The role of CSF ventricular drainage in controlling intracranial hypertension in patients with brain lesions. Comparison of three methods. Preliminary results // J Neurosurg Sci. - 1992. - Vol. 36 (4). - Р. 219-225. 18. Chapman P.H., Cosman E.R., Arnold M.A. The relationship between ventricular fluid pressure and body position in normal subjects and subjects with shunts: a telemetric study // Neurosurgery. - 1990. - Vol. 26 (2). - Р. 181-189. 20. 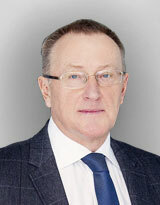 Czosnyka M., Pickard J.D. Monitoring and interpretation of intracranial pressure // J Neurol Neurosurg Psychiatry. - 2004. - Vol. 75. - Р. 813-821. 21. Daboussi A., Minville V., Leclerc-Foucras S. et al. Cerebral hemodynamic changes in severe head injury patients undergoing decompressive craniectomy // J Neurosurg Anesthesiol. - 2009. - Vol. 21 (4). - Р. 339-345. 22. Dunn L.T. Raised intracranial pressure // J. of Neurology Neurosurgery and Psychiatry - 2002. - Vol. 73. - Р. 123-127. 23. Ekstedt J. CSF hydrodynamic studies in man. 2. Normal hydrodynamic variables related to CSF pressure and flow // J Neurol Neurosurg Psychiatry. - 1978. - Vol. 41 (4). - Р. 345-353. 24. Fortune J.B., Feustel P.J., Graca L. et al. Effect of hyperventilation, mannitol, and ventriculostomy drainage on cerebral blood flow after head injury // J Trauma. - 1995. - Vol. 39(6). - Р. 1091-1097. 25. Guidelines for the management of severe traumatic brain injury / Brain Trauma Foundation; American Association of Neurological Surgeons; Congress of Neurological Surgeons; Joint Section on Neurotrauma and Critical Care, AANS/CNS // J Neurotrauma. - 2007. - Vol. 24. - Suppl 1. - 106 р. 26. Heppner P., Ellegala D.B., Durieux M. et al. Contrast ultrasonographic assessment of cerebral perfusion in patients undergoing decompressive craniectomy for traumatic brain injury // J Neurosurg. - 2006. - Vol. 104(5). - Р. 738-745. 27. Ho C.L., Wang C.M., Lee K.K. et al. Cerebral oxygenation, vascular reactivity, and neurochemistry following decompressive craniectomy for severe traumatic brain injury // J Neurosurg. - 2008. - Vol. 108 (5). - Р. 943-949. 28. Honeybul S., Ho K.M. Complications of decompressive craniectomy for head injury // J. Clin. Neurosci. - 2010. - Vol. 17(4). - Р. 430-435. 29. Jiang J.Y., Gao G.Y., Li W.P. et al. Early indicators of prognosis in 846 cases of severe traumatic brain injury // J Neurotrauma. - 2002. - Vol. 19 (7). - Р. 869-874. 30. Juul N., Morris G.F., Marshall S.B., Marshall L.F. Intracranial hypertension and cerebral perfusion pressure: influence on neurological deterioration and outcome in severe head injury. The Executive Committee of the International Selfotel Trial // J Neurosurg. - 2000. - Vol. 92 (1). - Р. 1-6. 32. Kitchen W.J., Singh N., Hulme S. et al. External ventricular drain infection: improved technique can reduce infection rates // Br J Neurosurg. - 2011. - Vol. 25 (5). - Р. 632-635. 33. Lescot T., Boroli F., Reina V. et al. Effect of continuous cerebrospinal fluid drainage on therapeutic intensity in severe traumatic brain injury // Neurochirurgie. - 2012. - Vol. 58 (4). - Р. 235-240. 34. Li L.M., Timofeev I., Czosnyka M., Hutchinson P.J. Review article: the surgical approach to the management of increased intracranial pressure after traumatic brain injury // Anesth Analg. - 2010. - Vol. 111 (3). - Р. 736-748. 35. Menon D.K. Cerebral protection in severe brain injury: physiological determinants of outcome and their optimization // Br Med Bull. - 1999. - Vol. 55. - Р. 226-258. 36. Munch E., Horn P., Schwer L. et al. Management of severe traumatic brain injury by decompressive craniectomy // Neurosurgery. - 2000. - Vol. 47(2). - Р. 315-322. 37. Neurotrauma and critical care of the brain / Edited by J. Jallo, C.M. Loftus. - New York-Stuttgart: Thieme, 2009. - 485 p.
38. Olivecrona M., Rodling-Wahlström M., Naredi S., Koskinen L.O. Effective ICP reduction by decompressive craniectomy in patients with severe traumatic brain injury treated by an ICP-targeted therapy // J Neurotrauma. - 2007. - Vol. 24 (6). - Р. 927-935. 39. Qiu W., Guo C., Shen H. et al. Effects of unilateral decompressive craniectomy on patients with unilateral acute posttraumatic brain swelling after severe traumatic brain injury // Crit Care. - 2009. - Vol. 13 (6). - R.185. Published online 2009 November 23. doi: 10.1186/cc8178. 40. Reithmeier T., Löhr M., Pakos P. et al. Relevance of ICP and ptiO2 for indication and timing of decompressive craniectomy in patients with malignant brain edema // Acta Neurochir (Wien). - 2005. - Vol. 147 (9). - Р. 947-951. 41. Rosner M.J., Rosner S.D., Johnston A.H. Cerebral perfusion pressure, management protocol and clinical results // J. Neurosurg. - 1995. - Vol. 83. - Р. 949-962. 42. Skoglund T.S., Eriksson-Ritzön C., Jensen C., Rydenhag B. Aspects on decompressive craniectomy in patients with traumatic head injuries // J Neurotrauma.- 2006. - Vol. 23 (10). - Р. 1502-1509. 43. Steiner L.A., Czosnyka M., Piechnik S.K., et al. Continuous monitoring of cerebrovascular pressure reactivity allows determination of optimal cerebral perfusion pressure in patients with traumatic brain injury // Crit Care Med. - 2002. - Vol. 30. - Р. 733-738. 44. Stiver S.I. Complications of decompressive craniectomy for traumatic brain injury // Neurosurg. Focus. - 2009. - Vol. 26(6): E7. 45. Timofeev L., Czosnyka M., Nortje J. et al. Effect of decompressive craniectomy on intracranial pressure and cerebrospinal compensation following traumatic brain injury // J Neurosurg. 2008 Jan; 108(1): 66-73. 46. Timofeev I., Dahyot-Fizelier C., Keong N. et al. Ventriculostomy for control of raised ICP in acute traumatic brain injury // Acta Neurochir Suppl. - 2008. - Vol. 102. - Р. 99-104. 47. Treggiari M.M., Schutz N., Yanez N.D., Romand J.A. Role of intracranial pressure values and patterns in predicting outcome in traumatic brain injury: a systematic review // Neurocrit Care. - 2007. - Vol. 6 (2). - Р. 104-112. 48. White H., Venkatesh B. Cerebral perfusion pressure in neurotrauma: a review // Anesth Analg. - 2008. - Vol. 107. - Р. 979-988. 49. Williams R.F., Magnotti L.J., Croce M.A. et al. Impact of decompressive craniectomy on functional outcome after severe traumatic brain injury // J Trauma. - 2009. - Vol. 66 (6). - Р. 1570-1574. 50. Yamakami I., Yamaura A. Effects of decompressive craniectomy on regional cerebral blood flow in severe head trauma patients // Neurol Med Chir (Tokyo). - 1993. - Vol. 33. - Р. 616-620.